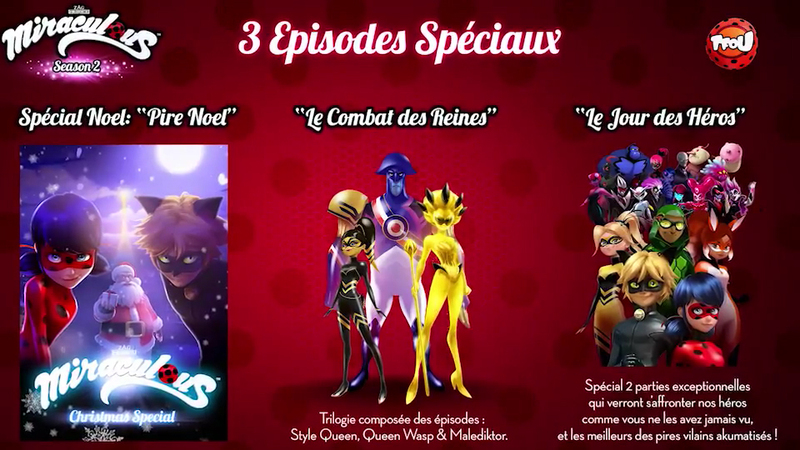 With Miraculous Ladybug season 2 coming this fall we also will see two new specials - Hour of heroes and Battle of the Queens. In Battle of the Queens we will see new villains: Queen of Style, Queen Wasp (Who is probably the akumized Queen B) and Malediktor. The "Hour of heroes" will consist of 2 parts, and we will see new team of super heroes will fight old akumatized villains villains (Princess Fragrance, Guitar Villain, Reflekta) and new ones (Troublemaker, Colector, akumatized Adrian's guard) headed by Paon and Hawk Moth.